263 p., 18,1 x 25,4 cm. Edited by Gottfried Gabriel, Matthias Gatzemeier and Friedrich Kambartel. 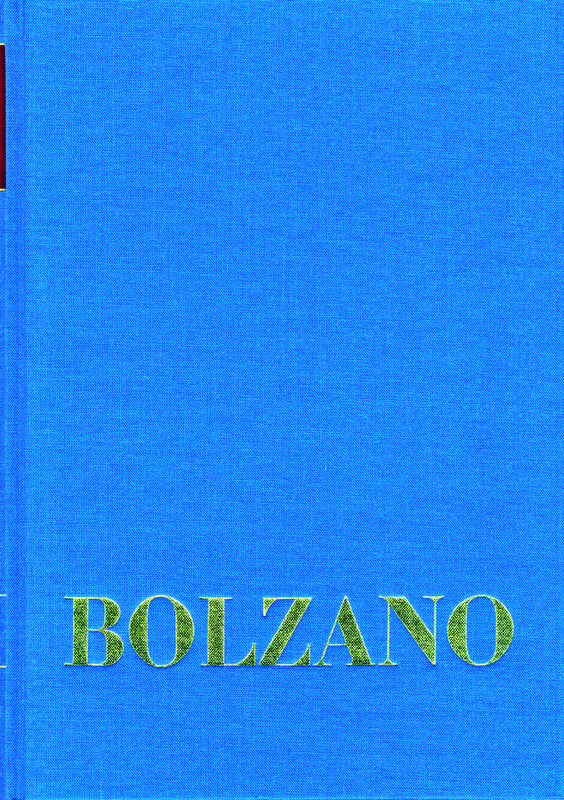 This volume contains a mixture of essays by Bolzano on mechanics, its mathematical basis, on logic and aesthetics.